When the pavement has been mastered, the Rowdy 20 is the perfect beginner trail bike to take your 4-9 year-old on his next adventure. 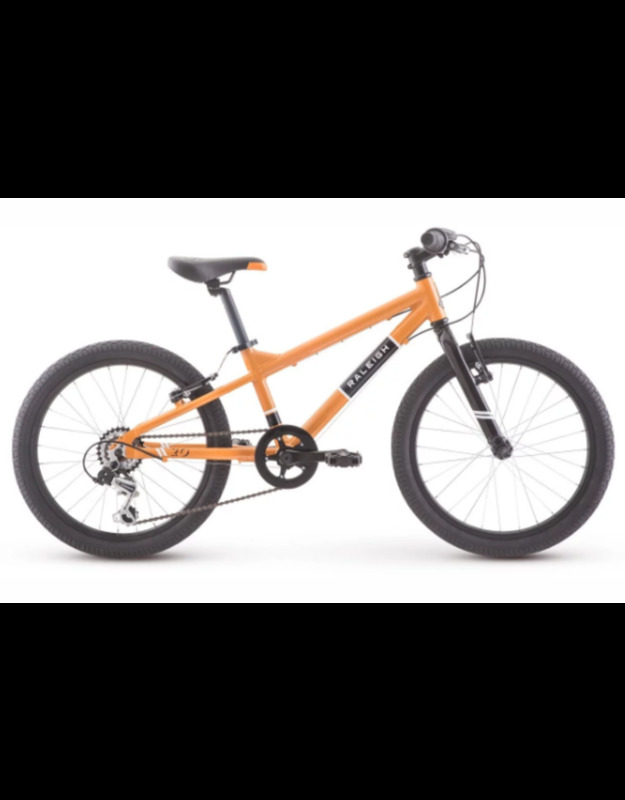 Featuring a lightweight aluminum frame made to fit boys 44”-54” in height, the Rowdy 20 is the perfect bike to start exploring beyond the sidewalk. Shimano twist shifters fly through 6 speeds with just the flick of the wrist allowing him to experience shifting without adding in too many gears. Mountain bike styling in a shrunken version will have him high tailing it through mud puddles with a big grin, while wide tires give him enough traction to keep going. The Raleigh JR Mountain saddle and JR grips may look like those found on an adult bike, but they are designed to fit the proportions of a growing boy. Whether he is looking for a slick ride to take to school, ride around the neighborhood, explore the local dirt trails, or simply race up and down the sidewalk, the Rowdy 20 will deliver.